This post on beauty hacks you need to know is a sponsored post. 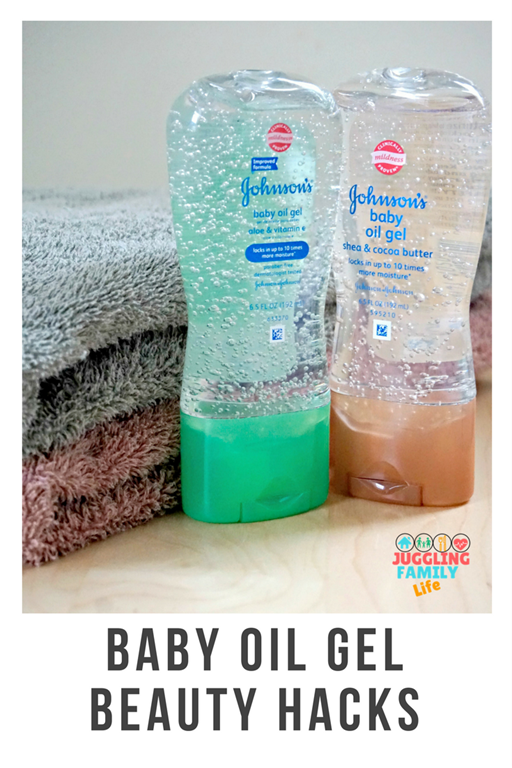 Have you tried JOHNSON’S® baby oil gel? It’s a wonderful product for babies and young children, but I discovered that it has many uses for adults as well. In fact, there are several beauty hacks you need to know about when it comes to this versatile beauty product. Because it comes in a gel formula, it is much easier to work with than traditional baby oil. If you have chapped lips, JOHNSON’S baby oil gel can help soften and heal your lips naturally. In addition, because of the oil naturally found in the gel, it is great to use as an everyday lip gloss and leaves your lips looking really glossy. Do you use an eye cream? Dab on some oil gel to lock in moisture and soften the look of lines. It can also help reduce puffiness under the eyes. 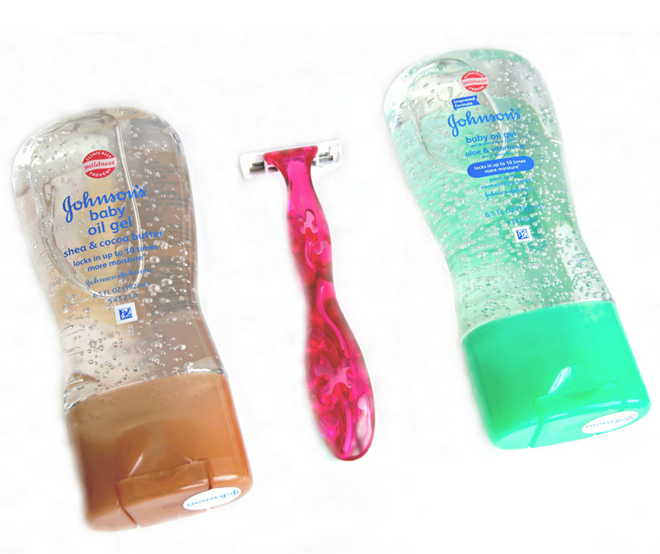 Shaving can leave your legs and underarms feeling dry and itchy. The ingredients in the baby oil gel help to fight against this, and your skin feels hydrated after shaving rather than dry or uncomfortable. It also acts as a healing agent against razor burns and other irritants that often happens with frequent shaving. 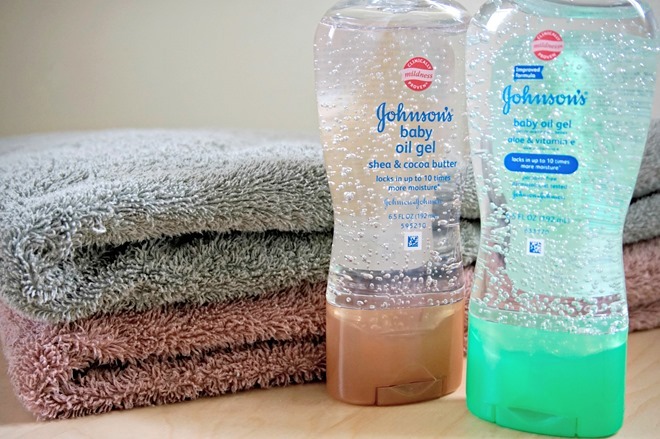 If you have dry or cracked feet, JOHNSON’S baby oil gel can help to soften and heal the skin. I like to slather some on at night and wear soft, cotton socks to bed. This results in softer, smoother feet when I wake up. Doing this regularly will help your feet look and feel better. This is especially true if you tend to stand for long periods or wear shoes that do not allow your feet to breathe during the day. Putting your makeup on is just one part of the equation, you have to remove it at the end of the day. There are countless products you can use to remove your makeup, but baby oil gel not only removes your makeup easily and efficiently, it also leaves your skin feeling soft and radiant. If you use hair products to create a sleek look, a small amount of baby oil gel will help give you the ultimate sleek look. Because there are no harsh ingredients in the oil gel, your hair not only looks sleek, but it benefits from the moisturizing oils and butters. I also like to dab some n the ends to keep the ends moisturized. So there you have it. JOHNSON’S® baby oil gel is not just for babies, there are countless ways to take advantage of this fabulous product. Your skin will become softer because the gel helps to lock in moisture much better than many other products. Since it is made to use on baby’s sensitive skin, the product is excellent for all types of skin combinations and conditions. Look out for it at your local Walmart. 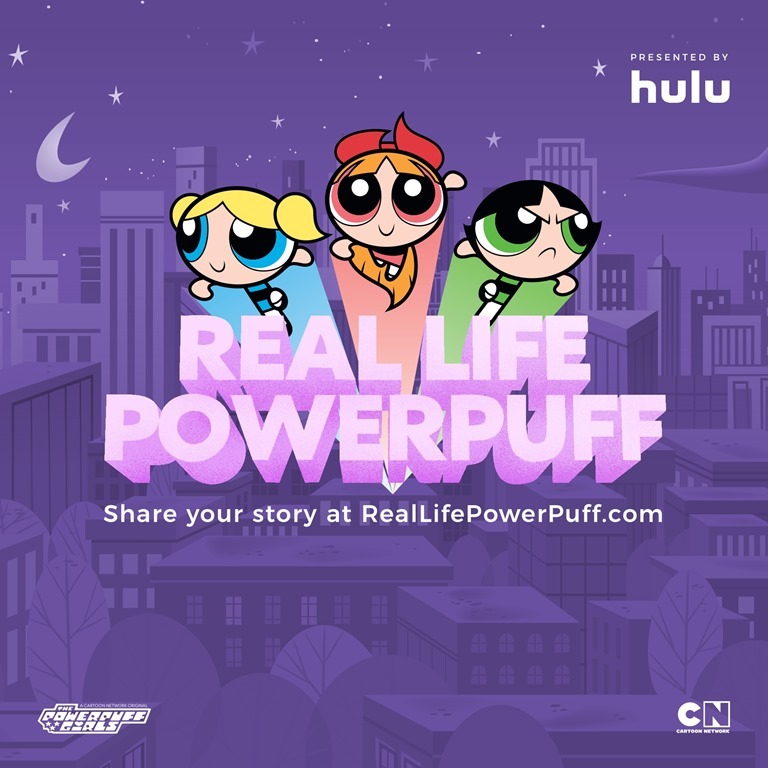 Life	Do You Know A Real Life PowerPuff Girl?